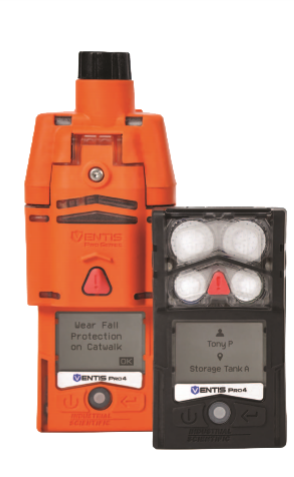 The Ventis Pro4 and Ventis Pro5 Gas Detection devices offer a variety of sensor options with flexible slot positions to help you detect combustible and toxic gases across a range of applications. Guaranteed for Life. Warranted for as long as the instrument is supported by Industrial Scientific Corporation (excludes sensors, batteries, and filters). O2, LEL, CO, and H2S sensors warranted for three years. All other sensors warranted for two years. Pumps and batteries are warranted for two years.